Laura Bush, the former first lady and wife of former President George W. Bush, said she was touched by current first lady Melania Trump’s invitation to the White House. 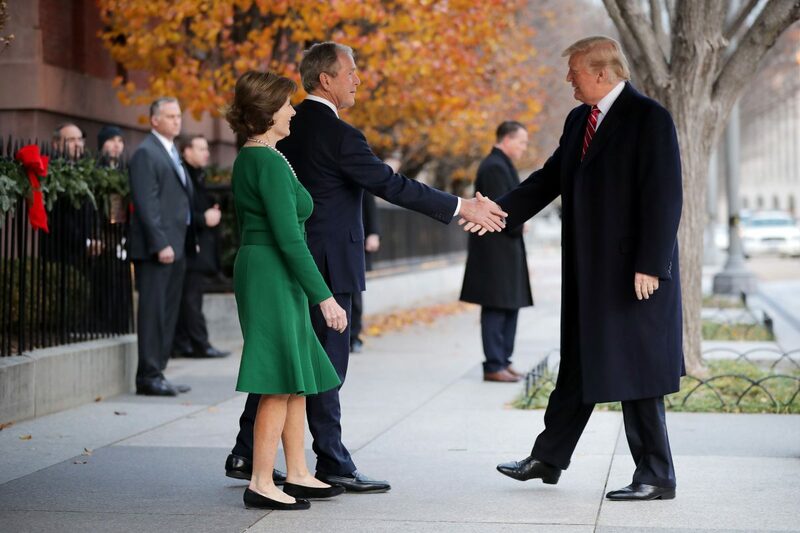 On Dec. 4, they the Trumps joined the Bushes at the Blair House in Washington D.C.
Trump invited the former first lady as well as a host of Bush children and grandchildren to see Christmas decorations at the White House on Dec. 4, USA Today reported. No photographers were present, said Melania’s spokeswoman Stephanie Grisham. Laura Bush posted photos on Instagram of the Bushes gathered around under a portrait of the 41st president, draped in black cloth. Former Florida Gov. Jeb Bush, who ran against President Donald Trump, said Trump “couldn’t have been nicer” following George H.W. Bush’s death. 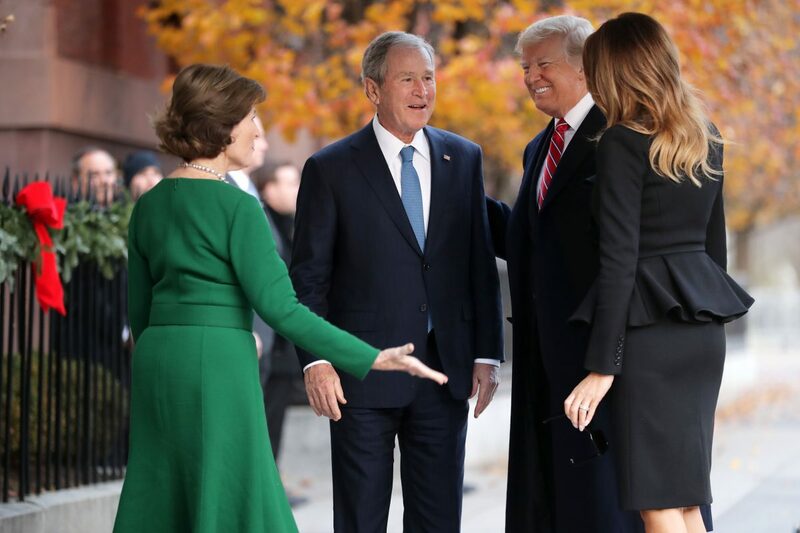 Both Trump and Melania Trump have been “really gracious,” noting that the first lady gave former first lady Laura Bush and 19 other Bush family members a tour at the White House. On Dec. 5, Bush’s plane, which often serves as Air Force One, arrived at Ellington Field outside Houston in late afternoon. 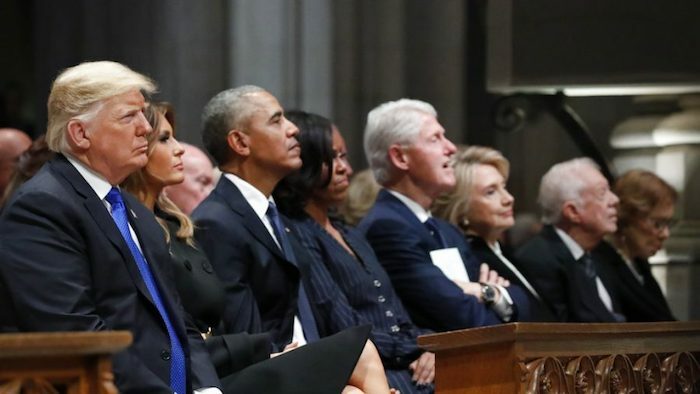 As a motorcade subsequently carried Bush’s remains to the family church, St. Martin’s Episcopal, along a closed interstate, hundreds of people in stopped cars on the other side of the road took pictures and shot cell phone video, according to AP. One driver of a tanker truck climbed atop the hulking vehicle for a better view, and at least 15 firefighters scaled a pair of stopped firetrucks to salute. Upon its arrival at the church, Bush’s casket was met by a military band and Houston Democratic Mayor Sylvester Turner.